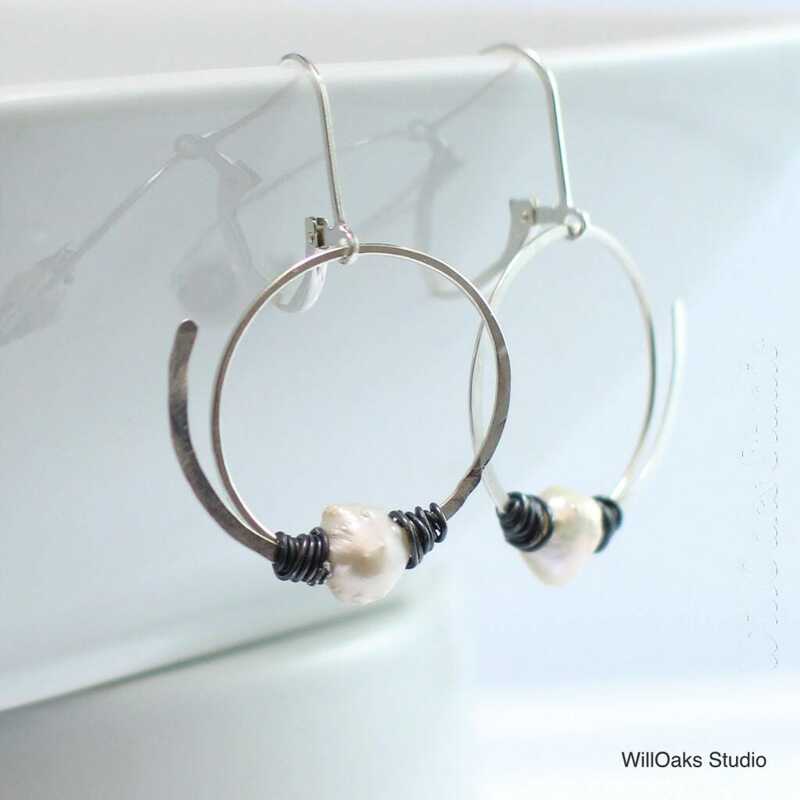 Hand forged sterling silver hoop dangles earrings capture white freshwater druzy pearls in a choice of different mixed or matched metals. Another design from my new Druzy pearl jewels collection---beautiful, fun, and affordable! 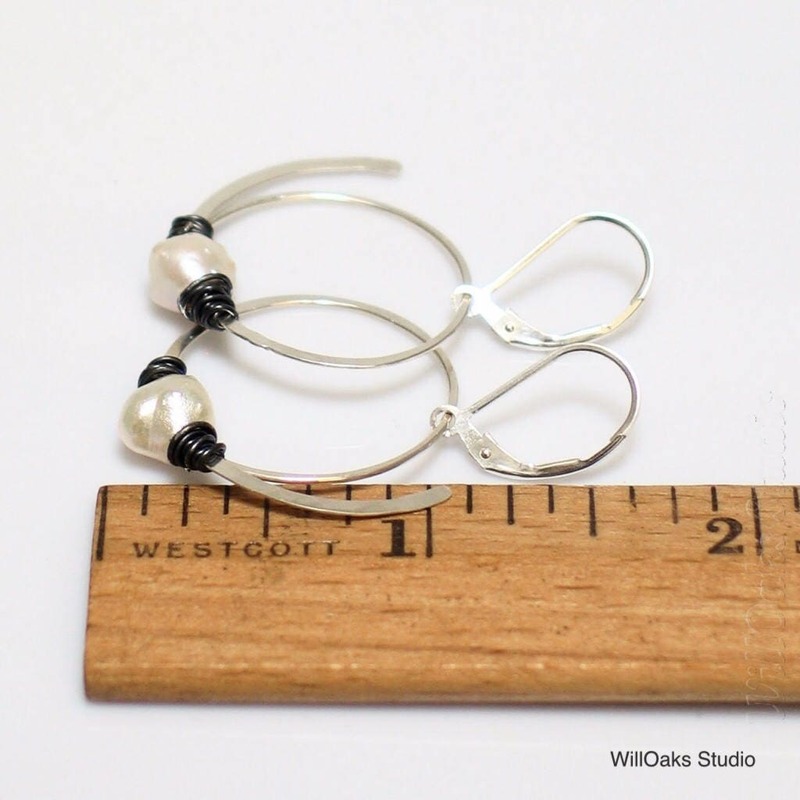 Easy swingy earrings, just over 1 1/2" long, are secure with sterling silver lever back ear wires. 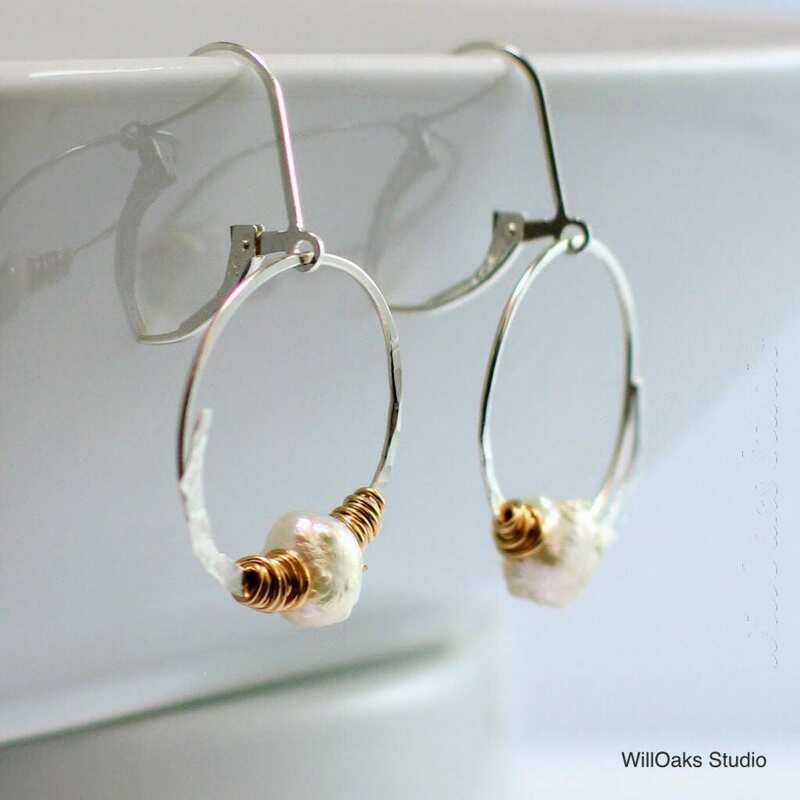 The pearls are trapped with rustic bindings of precious metals on a free hanging hoop, about 1" diameter, that has a modern flourish. 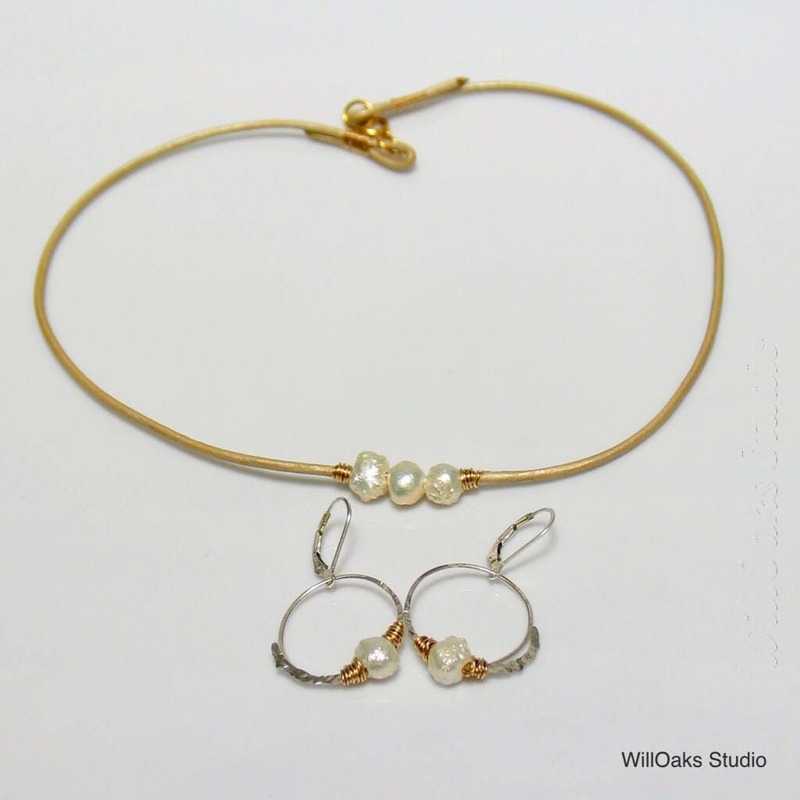 Choose bright or oxidized sterling silver and then mix or match the rustic precious metal binding that holds the pearls in place. 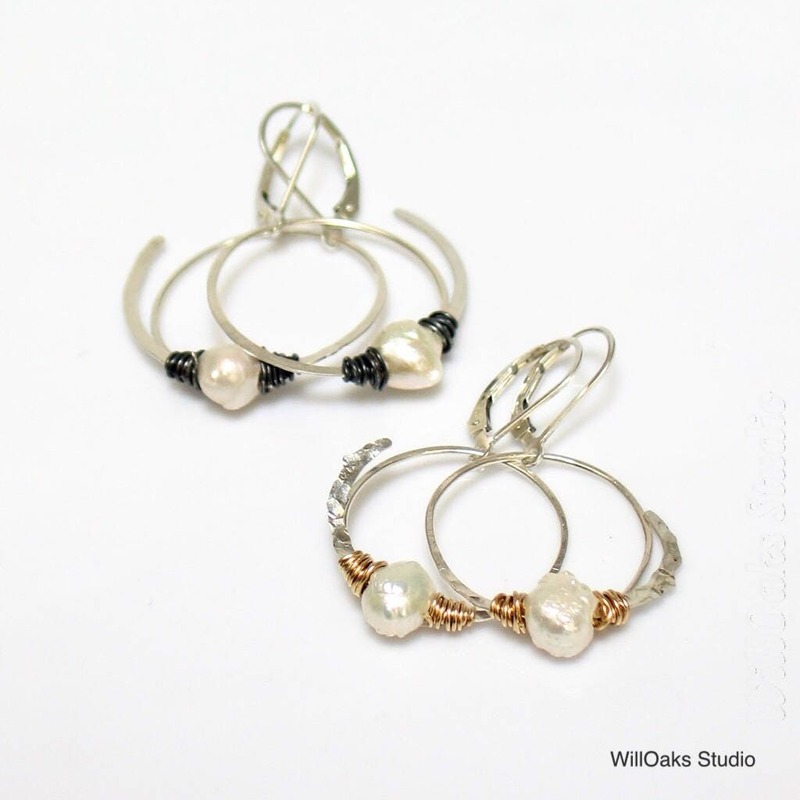 Each hoop is handmade by me in my studio with natural freshwater pearls, so expect subtle variations from the photos. Please select your earrings as you check out-not every possible combination listed as available has been included in my photos yet. All have ear wires of sterling silver, so are generally good for sensitive ears. A recent customer note: "Just wanted to thank you once again! My girls were thrilled with their necklaces and so glad you suggested changing the length, they fit perfectly and look beautiful on them." Thanks for stopping by-any questions, please get in touch! Unique, flattering design that looks elegant too! !